Law firms, companies and legal departments increasingly demand lawyers with a global perspective, who are able to add value in complex international transactions and who can practice in more than one jurisdiction. Our new partnership with Barbri provides our LL.M. students the possibility to study U.S. Law and qualify as a U.S. Attorney. In order to bridge the gap, we have partnered with Barbri, the number one bar examination review course in the United States, to give our LL.M. students the chance to take the California Bar Examination and become qualified to practice law in the US. Barbri has been ranked the number one bar review course thanks to its innovative and flexible study tools. More law students have passed the bar exam using Barbri than all other courses combined. Our partnership with Barbri offers LL.M. students qualified as lawyers, the opportunity to study American law and acquire the necessary credentials to make global practice a reality. Barbri’s International Bar Preparation program is designed with adaptability in mind; more specifically, it’s designed to help non-U.S. and qualified lawyers pass the California Bar Exam. Our exclusive partnership with Barbri allows us to offer our students the opportunity to expand their career options worldwide. Our LL.M. in International Business Law, led by a team made up of top senior academics with a strong practitioner background, explores the complex legal issues arising out in the global business arena. Particularly oriented towards practice in these fields, our LL.M. has a strong international dimension and offers immersive learning experiences in Brussels, London and the unique opportunity to pass the California Bar Exam and qualify as a U.S. Lawyer. In a complex, global and competitive world, IE Law School gives students the competitive edge to take your career to the next level. Our LLM is interested in attracting intellectually curious and thoughtful candidates from a variety of legal systems and backgrounds and with various career plans, interested in standing out as a truly global lawyer. 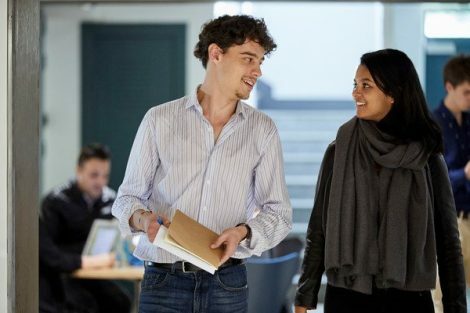 The LL.M program offers students an outstanding preparation for a legal career in the international business arena, combining business, management and legal courses with a practical real-world approach. “We’re excited to partner with one of Europe’s most distinguished law school’s to offer IE students the opportunity to take advantage of BARBRI’s expertise and best practices in U.S. bar preparation” said Robert Dudley, Regional Director of BARBRI International. “BARBRI uses the highest quality and most innovative education technology to achieve high pass rates for those studying with us”. The Barbri International programme is the only truly international one – designed for non-US educated law graduates and lawyers, courses start with 90-hour overview of US law. You will receive unique Law Master Study keys – flashcards covering the top 30 rules per legal subject on the MBE, all heavy lifting done by us so makes revision easy. You will be appointed a programme mentors – all qualified, support throughout your studies, guidance on study skills and available as you need them. Internationalize your legal career/expand your career options globally/set yourself apart from the competition by becoming dual-qualified. Over 45% of all cross-border transactions are governed under US or English law – take advantage of the portability and breadth of legal knowledge of being civil and common law qualified.